Which Far Cry 5 version should you get? Standard, Deluxe, Gold and Father Editions compared. A new Ubisoft blockbuster is upon us this week, and you know what that means: special editions. Far Cry 5 doesn't have anything as wallet-busting as the $800 Dawn of the Creed special edition for Assassin's Creed Origins, but it has enough variants to make your choice a tricky one. Here's our one-stop guide to what's on offer. 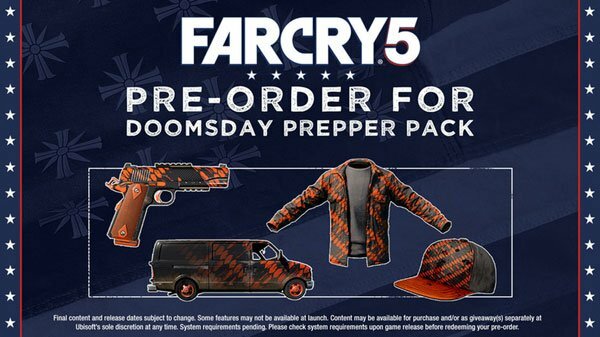 It doesn't matter which version of the game you get; if you pre-ordered it you'll get the Doomsday Prepper pack which offers an exclusive handgun, van and natty orange-and-black camo outfit. 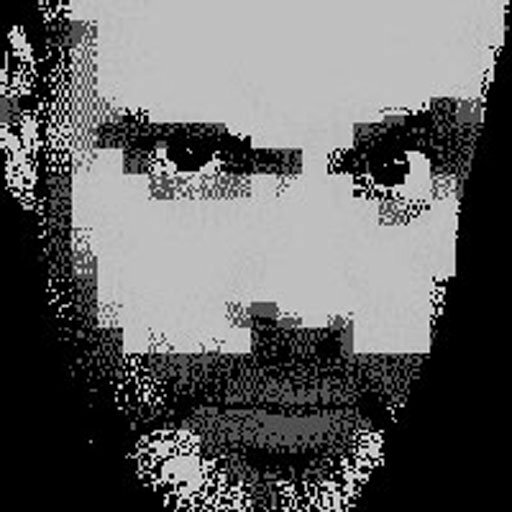 The Deluxe Edition comes with four bonus digital content packs, as well as a couple of extra weapons. The Big Game Hunter pack unlocks a compound bow and ATV, both with exclusive skins, as well as a new hunting outfit. The Ace Pilot pack offers a 1911 handgun and a helicopter, again with exclusive skins, plus a blue Aerial Force costume. You'll also get the Explosives and Chaos packs, which each offer quadruple bundles of key items such as dynamite, mines, grenades, C4, molotov cocktails, trap bait and the Fast and Furious status buffs. Your bonus weapons are an AR-C Assault Rifle and .44 Magnum, with the obligatory exclusive skins. 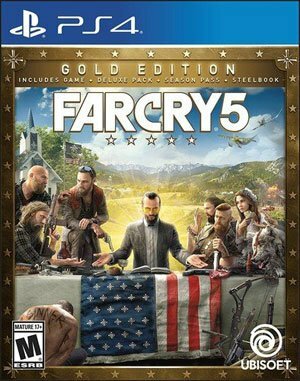 Spring for the Gold Edition, which comes in normal and steelbook packaging, and not only do you get everything included in the Deluxe Edition, but you also get the game's Season Pass included. In this case, that seems like a pretty sweet deal as the three expansions revealed so far look absolutely insane - a Vietnam offshoot, a campaign set on Mars, and a zombie splattering B-Movie co-op mode. And if that wasn't enough, the Season Pass also unlocks a free digital copy of Far Cry 3, the game that revived the series and still a highlight of the franchise. Oh, and you'll also get a bonus sniper rifle. Because why not? 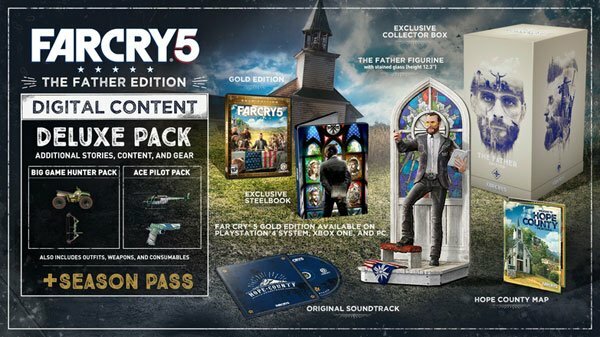 Available exclusively through Ubisoft's own online store, this bumper package offers all the content from the other editions - including that Season Pass - but adds in a bunch of physical goodies too. 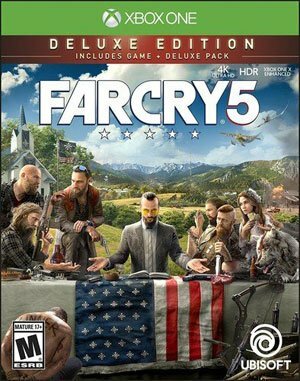 There's a CD of the game's soundtrack, a double-sided tourist map of Hope County with useful landmarks noted for you, some art prints and a 12-inch statue of Father Joseph Seed, the charismatic apocalyptic demagogue you'll be battling against in the game. It all comes in a collector's box, with the game itself housed in an exclusive steelbook case. Which is best? Well, that depends on your budget and appetite for in-game extras. We're favoring the Gold Edition, however, purely for that sweet Season Pass and the promise of those crazy DLC campaigns. Anyone who played the wonderfully unhinged Far Cry 3: Blood Dragon will know that these spin-offs are a treat unto themselves. Yee-ha.